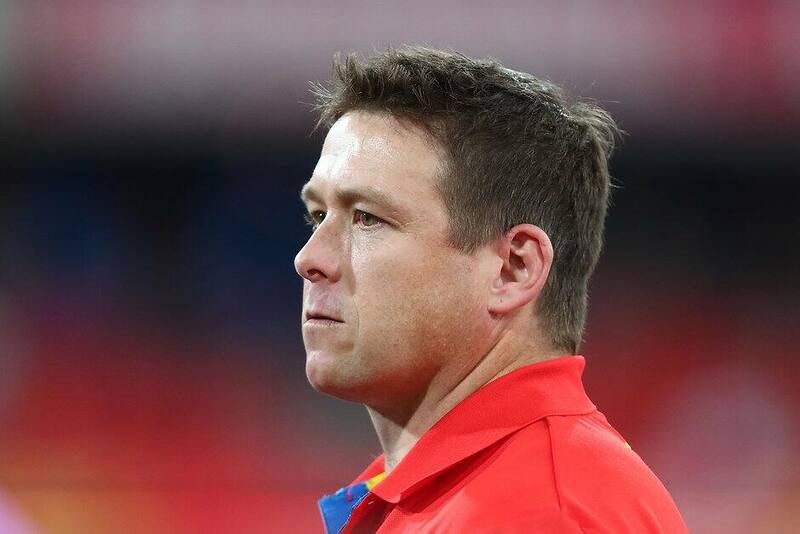 Facing his first full off-season as SUNS senior coach, Stuart Dew will be hoping for a fruitful trade and draft period to set the club up for 2019. Bringing in Lachie Weller, Aaron Young and Nick Holman in the same time last year, who all finished top 10 in the best and fairest, is an indicator of how critical the period can be. “It’s important that we get some further good characters into the place and some of that will be through draft and some through trade,” Dew told SEN’s Whateley program. “We went down the path with Aaron Young last year and Nick Holman and they were able to play 22 games and be really good role models for our football club. “Those guys that are on their second or last chance quite often can make a really good career and actually want to drive the club forward. The SUNS have already delisted four players, with the retirement of Matt Rosa taking the total to five list changes so far. Dew did admit there would likely be more changes than other clubs. “I wouldn’t say reshaping the list because we have got a core group there,” he said. “We were able to get some really good games into guys like Bowes, Brodie, Fiorini – he got injured but he’s certainly a player, and Lachie Weller,” he said. “It is tinkering with the list but there may be eight to nine changes, I guess a normal team might make five or six. Currently holding the second pick in the draft and West Coast’s first selection (yet to be determined), the SUNS could also enter with pick 3 if the club doesn’t decide to match the offer for departing restricted free agent Tom Lynch. Dew says the club is open to trading away one of their prized picks but believes previous issues with player retention won’t play a part in the recruiting strategy. “We’d always say never say never (to trading a high pick) because you never know what someone might put on the table,” he said. “We’ve got (pick) two but if we get three I think early days we’ll be picking the best players available,” Dew said. “From there you might have a different strategy around who’s available and what other talent’s there.